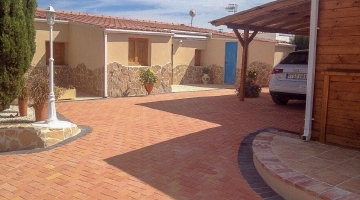 Our latest properties in Spain for sale by owner. 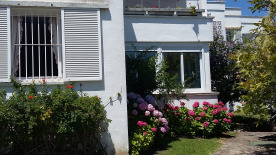 This beautiful and spacious apartment is located in one of the oldest and most beautiful urbanizations of Sotogrande, in front of the Hotel NH and in front of the school of Hipica de Sotogrande. The area is known for its beautiful gardens and stone paths and is far from the noise of the Marina. The majority of the tenants are foreign couples who want to live in peace next to the La Cañada golf course. 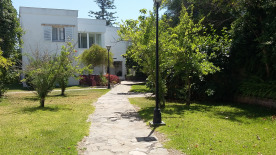 The house has 135 m2 built: an indipendent kitchen with all appliances and the necessary manaje to live (iron, crockery, grill, minipimer ...), a large living room with fireplaces and great work shelves, two covered terraces, two double bedrooms (one with dressing room and bathroom ensuite), and two bathrooms. The second terrace is currently furnished as a third bedroom but is perfect as a study, games room or guest room. The house has natural gas heating. An important reform was made when the house was purchased at the hydraulic and electric level. The entire floor is terrazzo. It is sold furnished. A great opportunity!! !